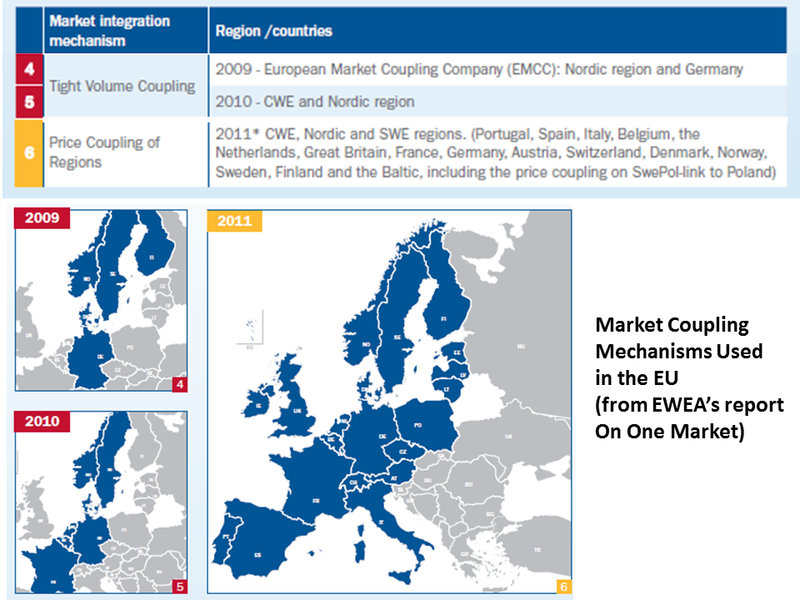 EU: an internal energy market by 2014? 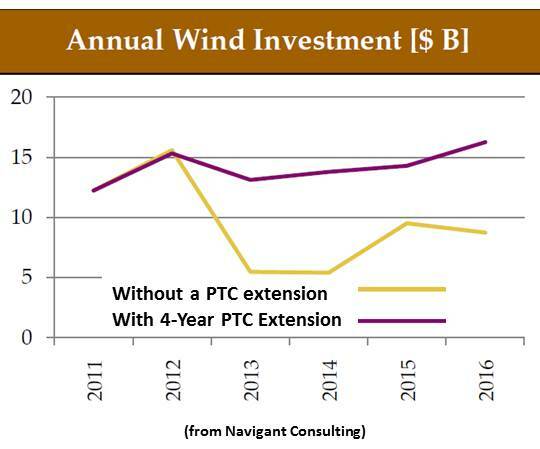 “Changing federal policies from tax to cash incentives would save taxpayers money while maintaining the same level of support for the wind and solar industries. Current federal tax incentives are not a cost-effective way to support renewable energy because most project developers don’t have enough tax liability. As a result, they employ tax equity partners at additional cost. With cash incentives, developers don’t need tax equity partners; this makes the system more cost-efficient. To be clear, renewable energy targets like these typically use an accounting framework in which some fossil-fueled electricity is used during certain hours of the year, and it is offset by additional renewable generation or the purchase of Renewable Energy Credits (RECs). 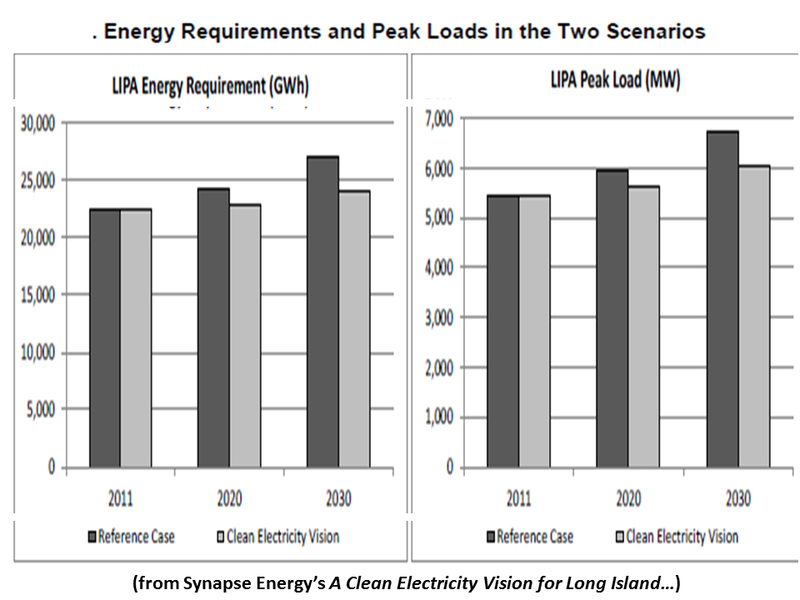 This study focuses on an aggressive move to renewable energy – and energy efficiency – on Long Island. 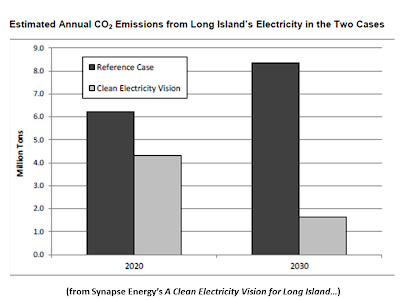 The study was commissioned by Renewable Energy Long Island and other member organizations of the Long Island Clean Energy Roundtable, funded by the Long Island Community Foundation and the Rauch Foundation. 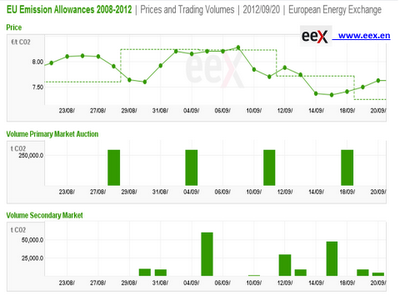 The analysis was performed by Synapse Energy Economics. 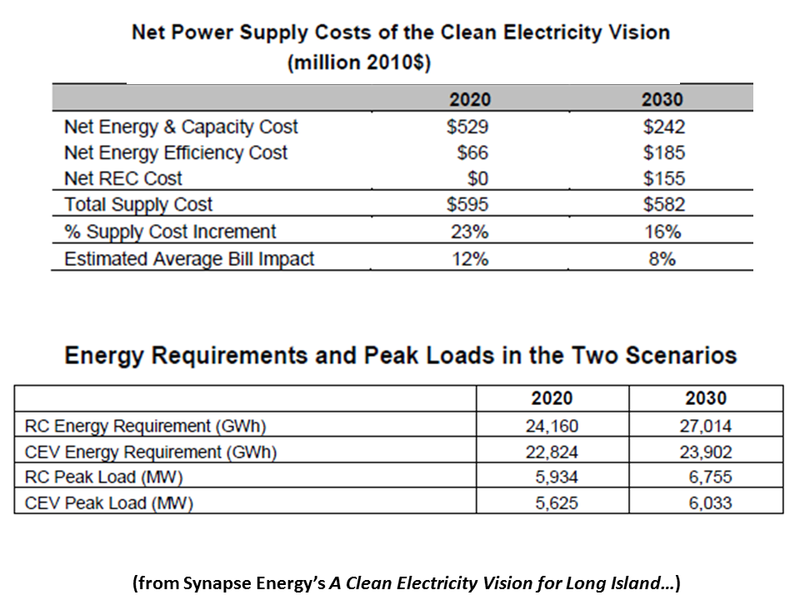 Specifically, this study examines a future in which Long Island generates or contracts for renewable energy sufficient to meet all of its residential electricity needs by 2020 and all of its electricity needs by 2030. The 2030 vision includes the use of some fossil-fueled generation, which is offset by the purchase of Renewable Energy Credits. This “Clean Electricity Vision” (CEV) is compared to a “Reference Case” future, based on the current plan for meeting Long Island’s electricity needs. 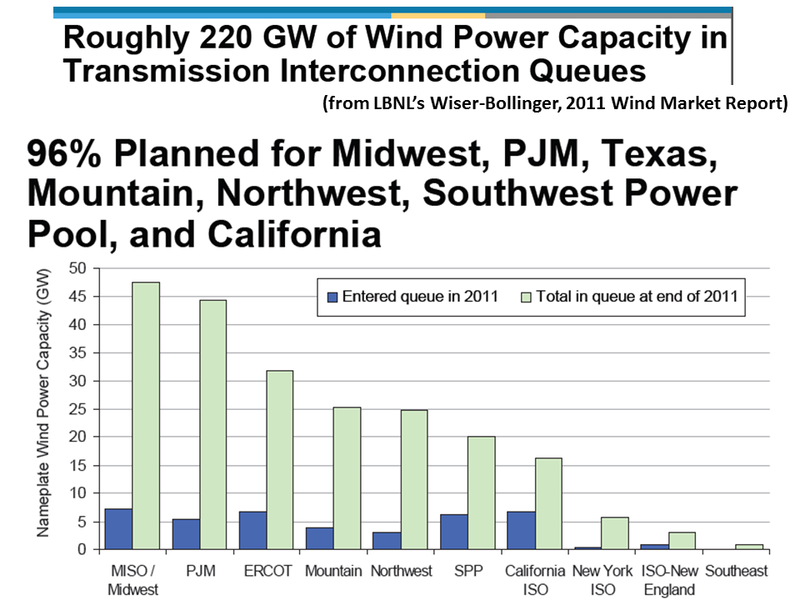 The two scenarios are compared in a detailed spreadsheet analysis, with attention to annual energy requirements, installed capacity requirements and a constrained regional transmission system. 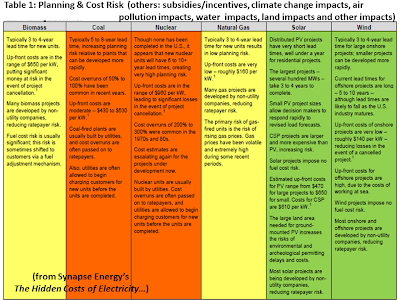 The scenarios are compared in terms of the resource mixes, costs and carbon emissions. The CEV would provide benefits in addition to carbon reductions – environmental benefits, local economic development and reduced exposure to fossil fuel prices – but these benefits are not quantified here. The study provides a first-order look at costs and feasibility. The intent is not to lay out a detailed resource plan, but to inform the discussion of these issues and to prompt further analysis. Both scenarios should be examined with an hourly dispatch model to better understand potential costs associated with variable generation, operating reserves and maintaining system stability. 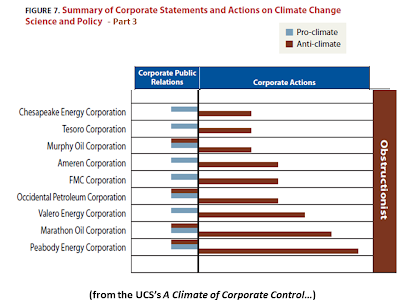 The sections below present the study’s methodology, key assumptions and conclusions. However, we begin by describing the key challenge inherent in a rapid move to renewable electricity. Regional power systems must not only provide enough energy to meet demand, they must also be able to accommodate minimum and maximum loads and periods when loads are changing rapidly. 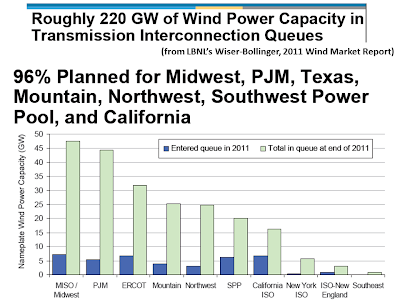 While wind and solar energy is abundant, it cannot be dispatched at will like a gas-fired power plant.5 In order to meet peak loads entirely with renewable energy, a system would have to be dramatically overbuilt, leading to oversupply during off-peak periods, or it would need large amounts of electricity storage capacity. Over the long term, fully renewable power systems with sufficient storage capacity make sense – in fact they may be our only option in the long run. But moving to this paradigm within the next decade or two would be extremely expensive. 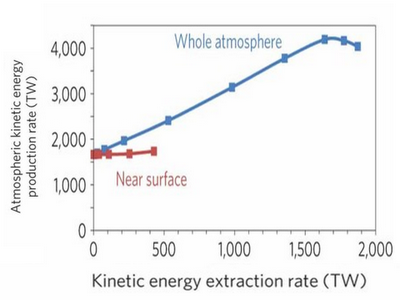 This is why the more aggressive renewable energy targets typically allow for some fossil-fueled generation. 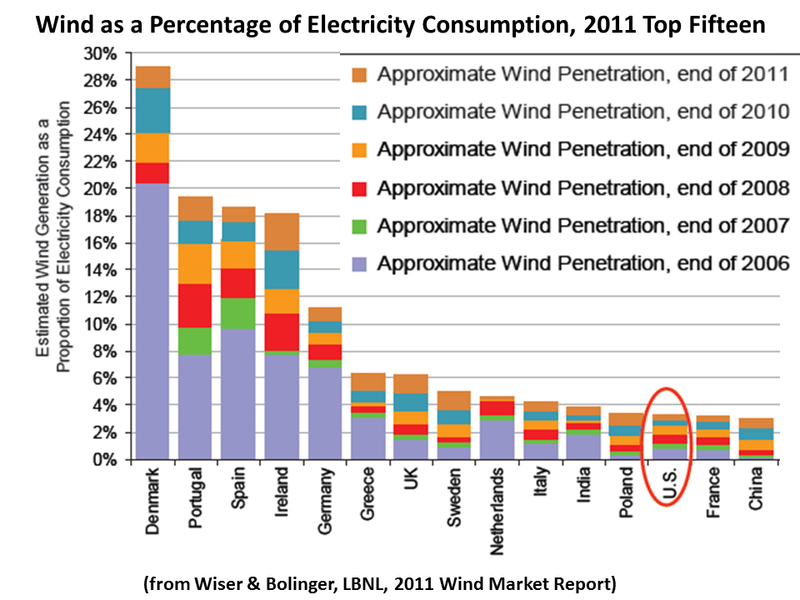 In the Northeastern U.S., there is a well established system of tradable Renewable Energy Credits (RECs). A certificate is created for each MWh of renewable generation, and these certificates can be purchased with the energy from the generator or they can be purchased separately. 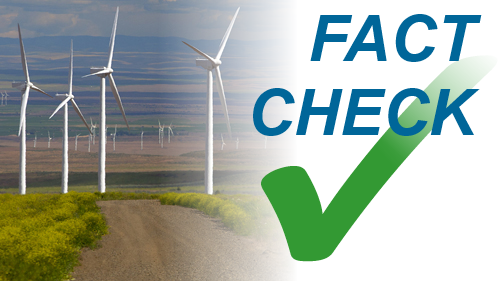 The RECs provide an additional source of revenue for renewable power projects, and they ensure that multiple entities do not claim to be buying the same renewable energy. In addition, the price of RECs provides an important market signal which indicates when new renewable energy is in demand. 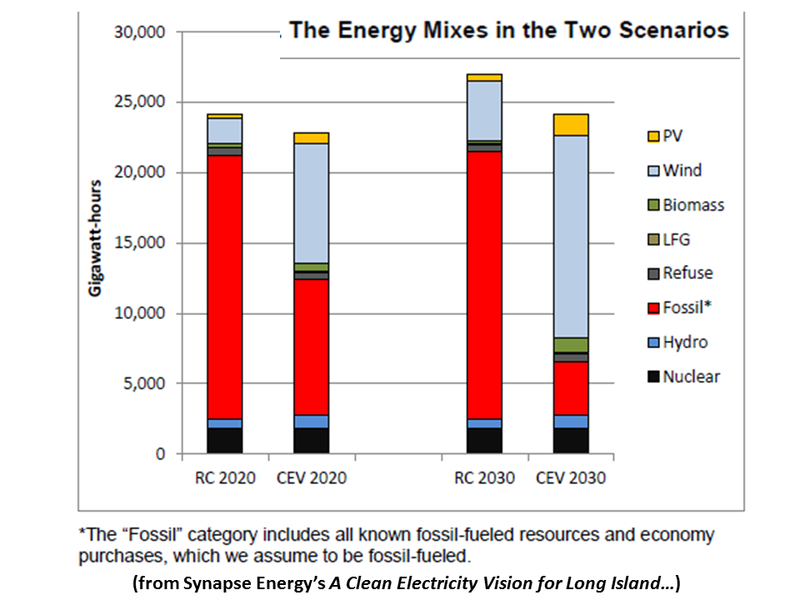 In 2020, the Reference Case energy mix is 13% renewable. In 2030, renewables make up 21%. 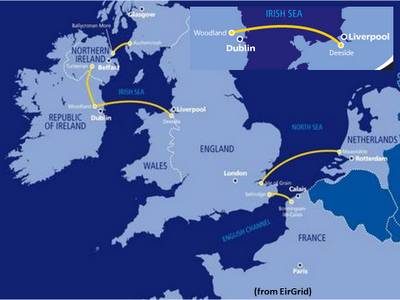 The PV projects located on island and the offshore wind provide both energy and capacity. 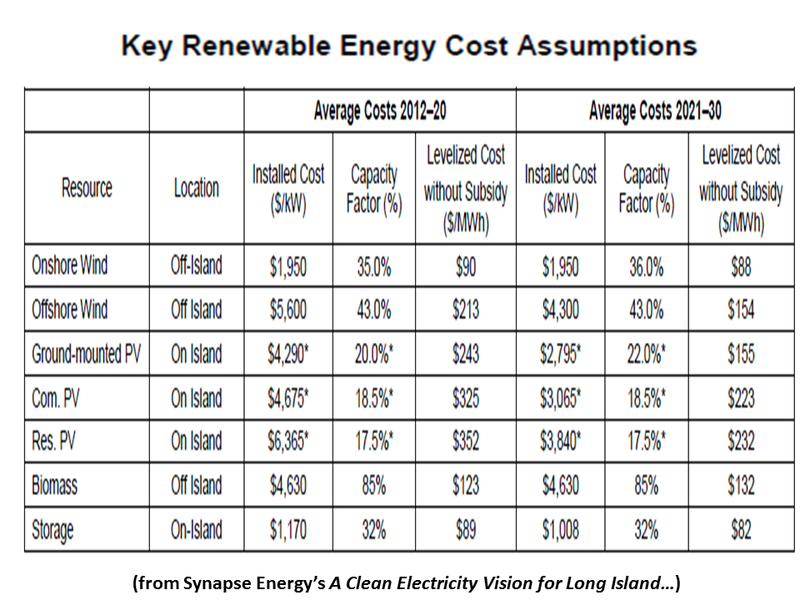 We assume that all other renewable energy is obtained in the form of long-term contracts for energy and RECs but not capacity.15 As noted, we add transmission costs to wind sited in Upstate New York and Maine; however these costs are intended to address constraints in those areas, not to allow the projects to provide capacity on Long Island. The Reference Case also includes 1,100 MW of new combined-cycle capacity on the Island, added between 2020 and 2030. 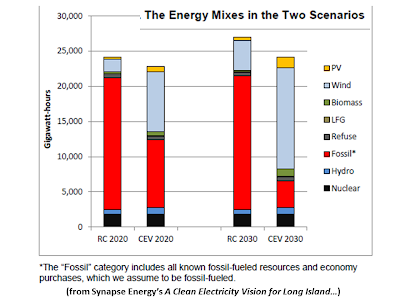 Figure 2 above also shows the 2020 energy mix in the CEV. 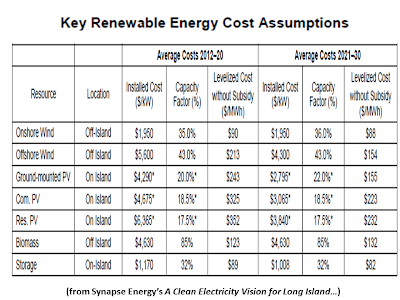 In this scenario, the same cost assumptions are used for supply-side resources as in the Reference Case; however costs per MWh differ due to different assumed capacity factors. Assumed fuel costs are the same in both scenarios. 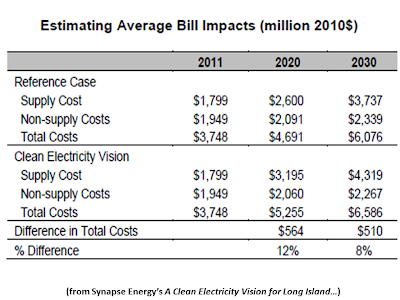 By 2020, Long Island is generating or purchasing renewable energy sufficient to meet 48% of its electricity needs, or approximately all of its residential demand. By 2030, it is meeting 75% of its electricity supply with renewable energy. 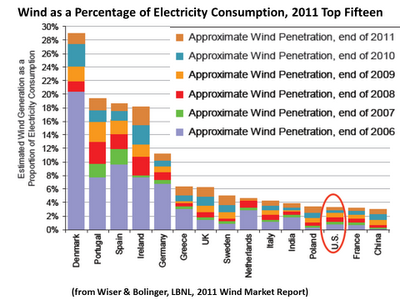 The vast majority of this energy is from wind. 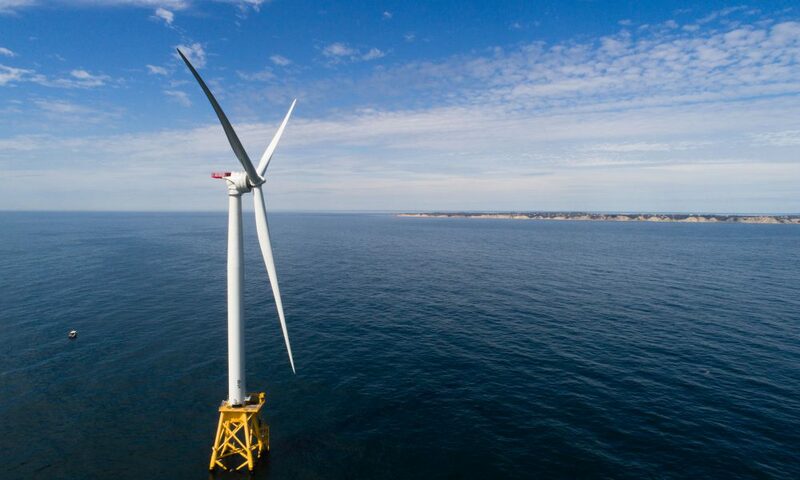 By 2030 there are 2,250 MWs of offshore wind connected directly to the Long Island grid, producing roughly 8,480 GWh per year. 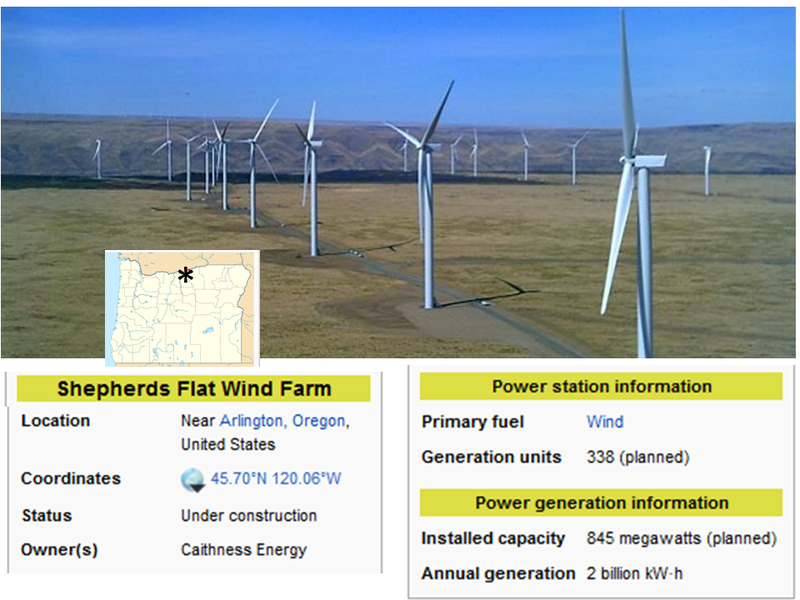 The Island is also purchasing 6,190 GWh per year from onshore wind farms (off Island). There are 800 MWs of energy storage capacity on the Island, moving 2,240 GWh per year (equal to 16% of the total wind energy) from off-peak to on-peak periods. There are 900 MWs of PV on the Island, producing nearly 1,500 GWh per year. Smaller amounts of landfill gas, biomass and hydropower are also contributing to the mix. In 2030, in addition to the renewable energy discussed above, Long Island is relying on 6,260 GWhs of fossil or nuclear generation to meet its electricity needs. We include in the CEV the cost of an equal amount of RECs, priced at $25 per MWh. 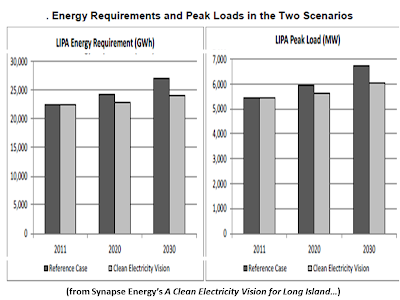 Figure 3 shows the capacity being used to meet capacity requirements in the two scenarios. 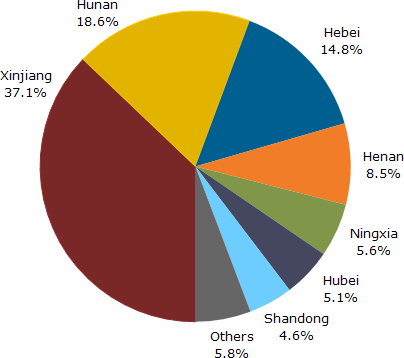 For capacity analysis, offshore wind capacity is derated to 30% of nameplate, and PV capacity is derated based on the percentage of PV energy in the resource mix. In both scenarios PV capacity is derated to 44% of nameplate in the 2020. In the CEV in 2030, PV is 6% of the energy mix and is derated to 38% of nameplate capacity.16 Resources not shown in Figure 3 (such as biomass) are not being used to meet capacity requirements – the purchase is for energy only. 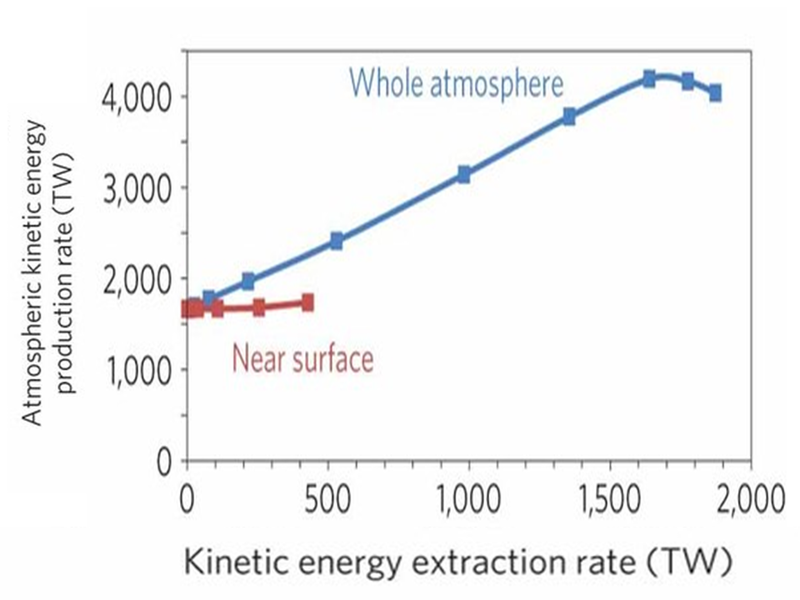 Note that, while a considerable amount of fossil-fueled capacity is being used to meet capacity obligations, it is contributing a much smaller fraction of energy (Figure 2). Note that this analysis does not consider the effects of demand response markets in New York. In these markets, customers are paid a monthly fee to reduce their demand when directed to do so by the power system operators. 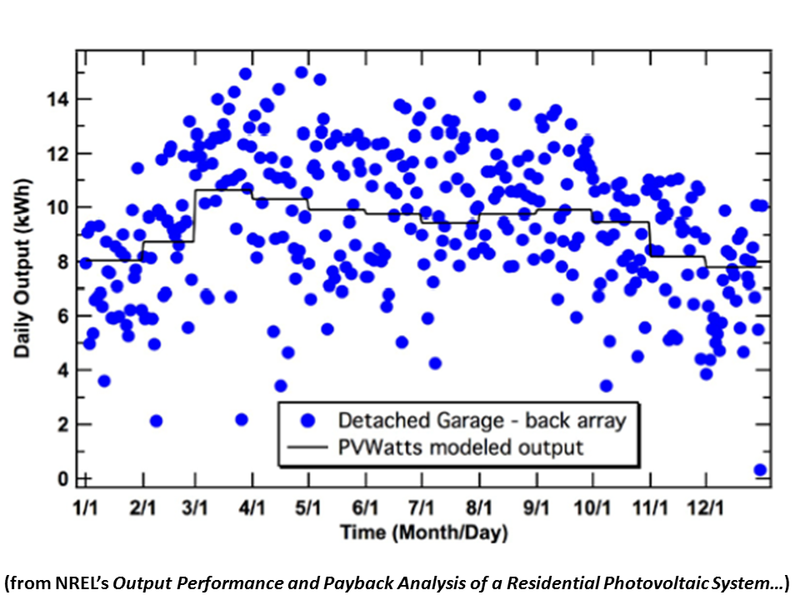 Demand response reduces peak loads, and it also helps accommodate variable generation. Currently, there are robust and growing demand response markets in New York, New England and PJM, however simulating these markets was beyond the scope of this work. It is important to note that, while we have tried to make rational choices in developing the CEV, it is not necessarily the optimal scenario. Exploring the impacts of other renewable fuel mixes would be useful future work. The major conclusions of this work are as follows. 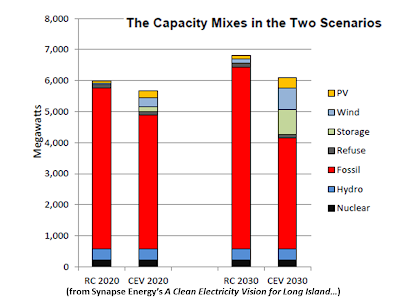 • It appears technically feasible for Long Island to have a 100% renewable and zero-carbon electricity supply by 2030, using many existing resources for capacity and using RECs to offset a modest amount of fossil generation. 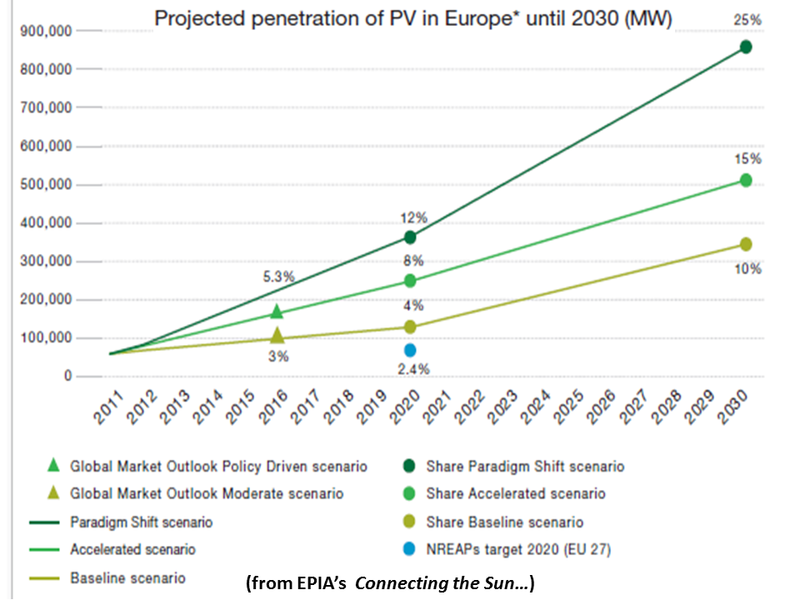 • The incremental, annual power supply cost of the CEV in 2020 (relative to the Reference Case) would be in the range of 23% in 2020 and 16% in 2030. 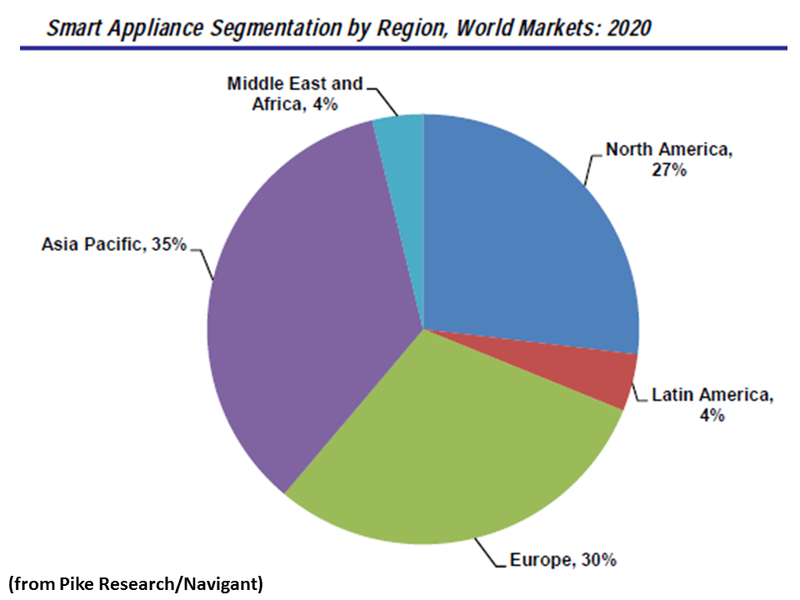 • Average customer bills across all rate classes could be expected to increase by about 12% in 2020 and about 8% in 2030, relative to the Reference Case. • The CEV would provide dramatic reductions in actual carbon emissions (in the range of 80% by 2030), and with the purchase of RECs, the Island would in effect be paying for a CO2-free electricity supply. • An aggressive move to renewable energy would provide benefits that have not been addressed here, including local economic development, reduced fuel price risk and reduced environmental and health impacts of power generation. In addition, further work in the following areas would be useful. • This CEV should be investigated with an hourly dispatch model. Important areas to explore are the accommodation of variable generation, the impact of expanding demand response markets, differences in the need for operating reserves and maintaining system stability. 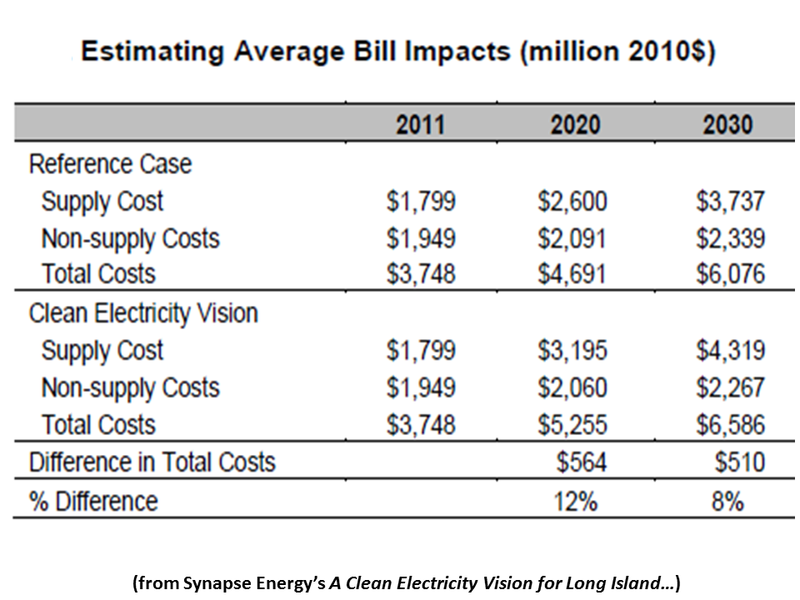 • Energy efficiency is by far the lowest cost electricity resource at Long Island’s disposal, and many utilities are capturing more efficiency than LIPA is today. 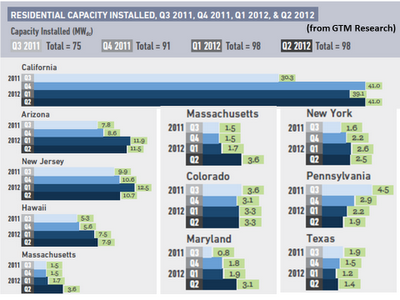 Several states are now funding efforts to capture “all cost effective” efficiency opportunities. The prospects for raising New York State’s funding levels and efficiency goals should be explored. 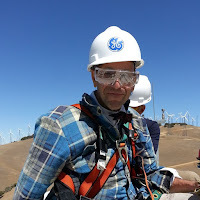 “GE…is working with Electric Transmission Texas LLC, a joint venture between subsidiaries of American Electric Power and MidAmerican Energy Holdings Co., on upgrades to the Texas transmission system that will allow more wind energy to be transmitted from rural generation facilities to high-demand urban areas. 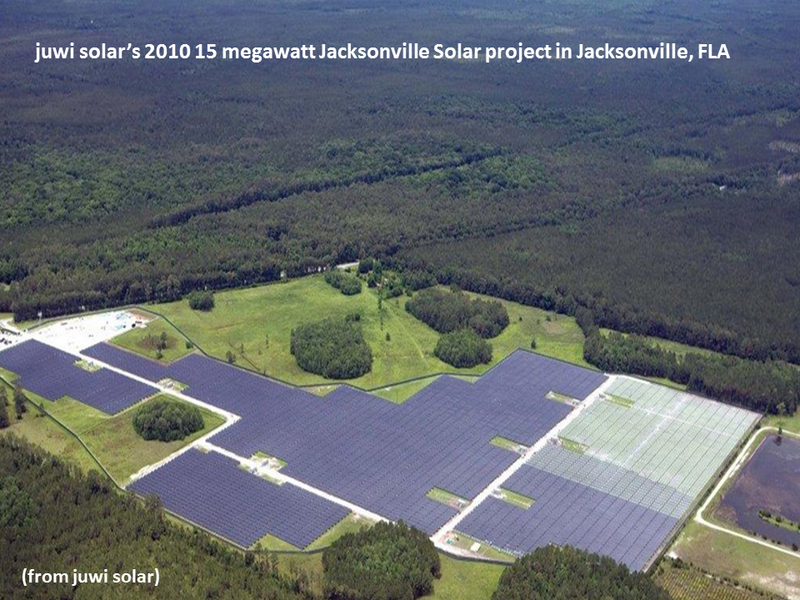 “PSEG Solar Source has completed the acquisition of a 15 MW solar project in Milford, Del., from juwi solar Inc. (JSI)… JSI will engineer, procure and oversee construction of the facility, as well as perform operation and maintenance services…[Construction] will begin this month. Cost of installation and ownership of a 9.66- kilowatt (kW) residential photovoltaic system is described, and the performance of this system over the past 3 years is shown. The system is located in Colorado at 40° latitude and consists of arrays on two structures. Two arrays are installed on a detached garage, and these are each composed of 18 Kyocera 130-W modules strung in series facing south at an angle of 40° above horizontal. Each 18-panel array feeds into a Xantrex/Schneider Electric 2.8-kW inverter. The other two arrays are installed on the house and face south at an angle of 30°. One of these arrays has twelve 205-W Kyocera panels in series, and the other is made up of twelve 210- Kyocera panels. Each of these arrays feeds into Xantrex/Schneider Electric 3.3- kW inverters. 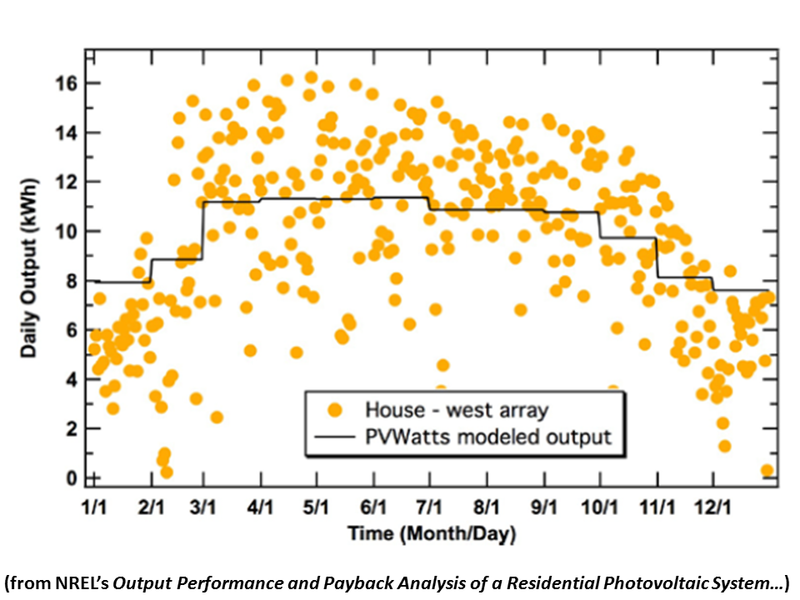 Although there are various shading issues from trees and utility poles and lines, the overall output resembles that which is expected from PVWatts, a solar estimate program. The array cost, which was offset by rebates from the utility company and federal tax credits, was $1.17 per watt. 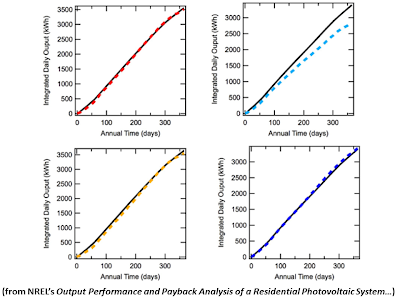 Considering measured system performance, the estimated payback time of the system is 9 years. 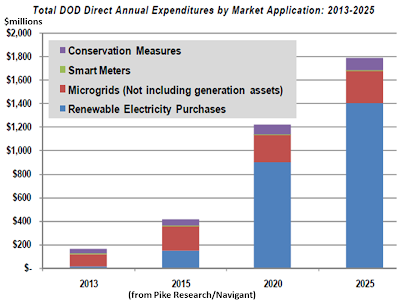 Solar energy in a large portion of the U.S. is expected to become cheaper than conventional power from the grid by 2017. Costs of solar panels and installation continue to decrease, while the cost of electricity continues to rise. The solar market will be driven by grid parity within regions. While federal incentives provide a good foundation for the expansion of solar, state-level incentives seem to truly make solar energy competitive. 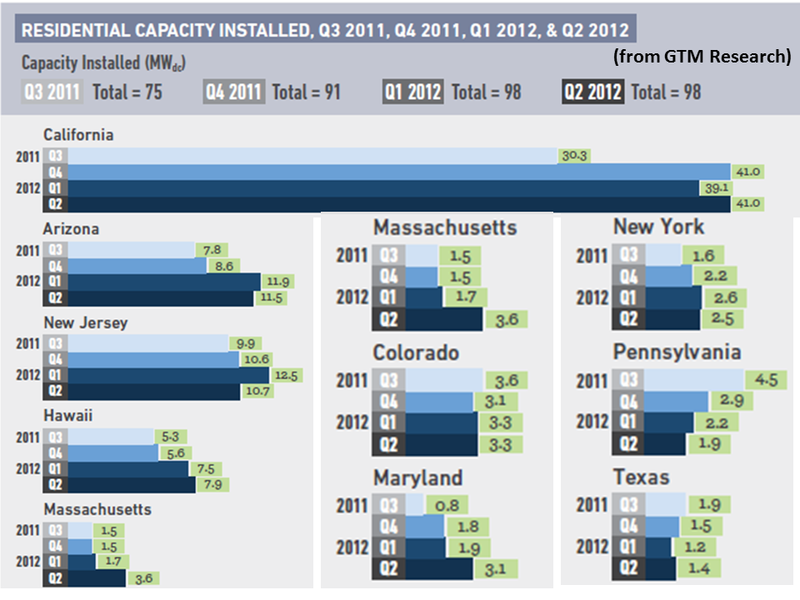 At the moment, the U.S. is the 4th largest solar market in the world, and that market grew from ~900 MW in 2010 to 2 GW in 2011. 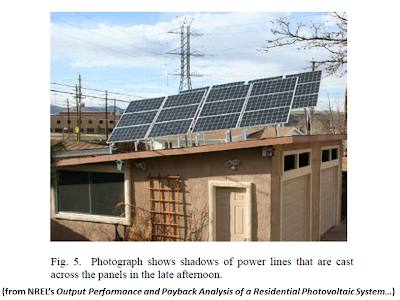 A 9.66-kilowatt (kW) residential photovoltaic system is located in Colorado at 40° latitude and consists of four arrays on two structures. Two arrays are installed on the house and face south at an angle of 30° above horizontal, as shown in Figs. 1 and 2. The east array has twelve 205-W Kyocera panels in series, and the west array is made up of twelve 210-W Kyocera panels. Each of these arrays feeds into Xantrex/Schneider Electric 3.3-kW inverters. Three rows of panels are installed on a detached garage, as shown in Fig. 3. Each row is composed of 12 Kyocera 130-W modules facing south at an angle of 40° above horizontal. The rows are spaced apart so that, even in winter, panels are not shadowed by the row in front of them. The three rows are strung into two arrays of 18 panels each that feed into Xantrex/Schneider Electric 2.8-kW inverters. One array consists of the back row, shown in Fig. 4, and the right half of the middle row. The other array includes the front row with the left half of the middle row. 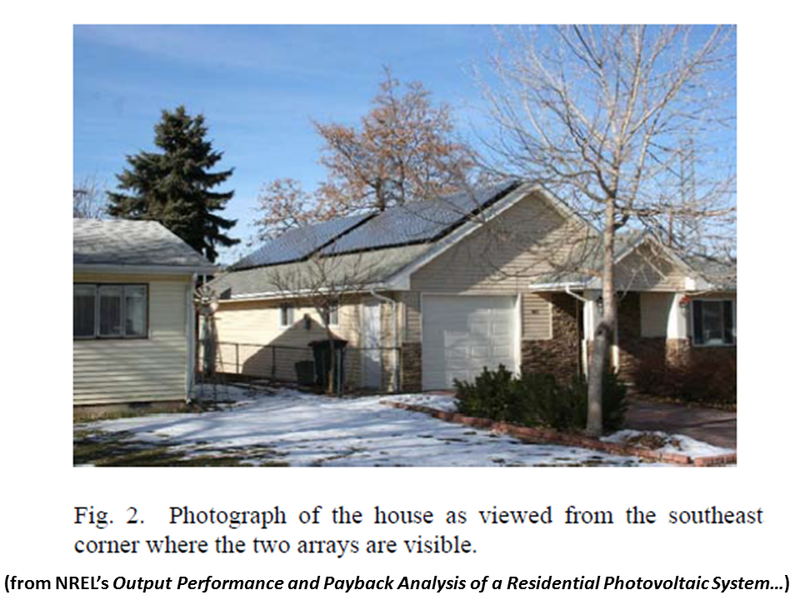 Although the back row array is sufficiently spaced away from trees and poles, there are shading issues from trees, utility poles, and power lines for the front array on the detached garage, as shown in Fig. 5. In the winter, the snow slides off the arrays on the back garage quite easily, because for each row, there is open space below the panels. However, on the house arrays, there is roof space below the arrays where snow tends to pile up after sliding down the arrays. This piled-up snow continues to shade significant areas of the panels on the bottom rows and severely inhibits the performance of the array. Manual removal of some of this snow quickly accelerates melting and restores array production. Energy output of each array over the past 3 years (2009– 2012) has been averaged and plotted in Fig. 6. 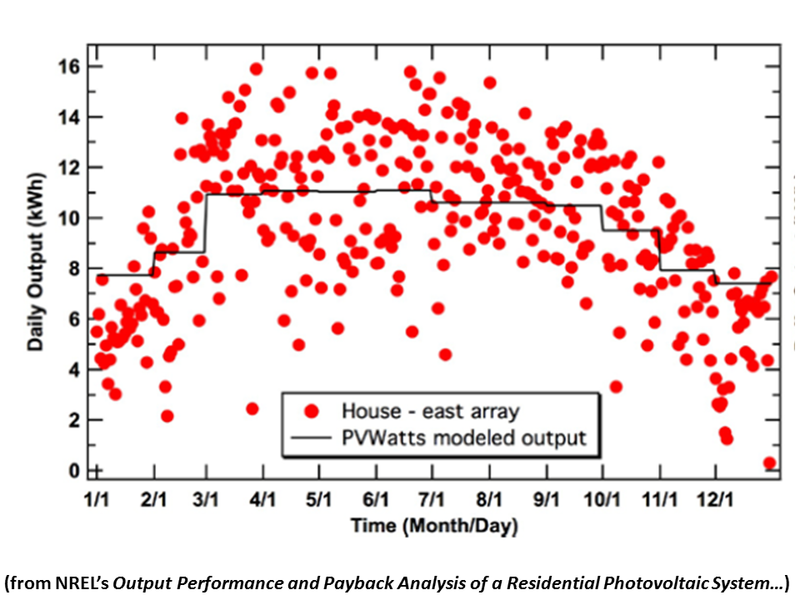 The plots show the average amount of energy in kilowatt-hours (kWh) per day over the course of a year. 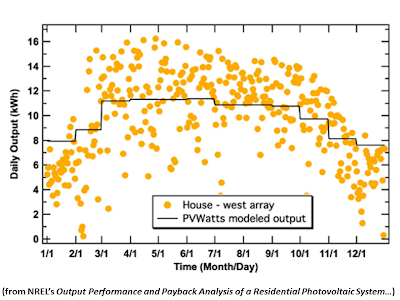 The modeled amount of energy is calculated from a program called PVWatts, which is available at www.nrel.gov/rredc/pvwatts. 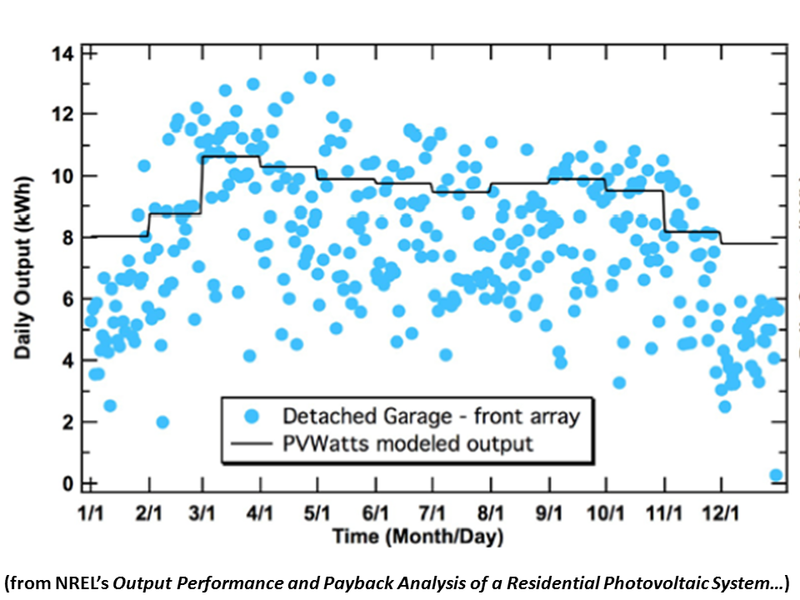 The 3-year-averaged data follow the modeled output quite well, with the exception of the detached garage’s front array. 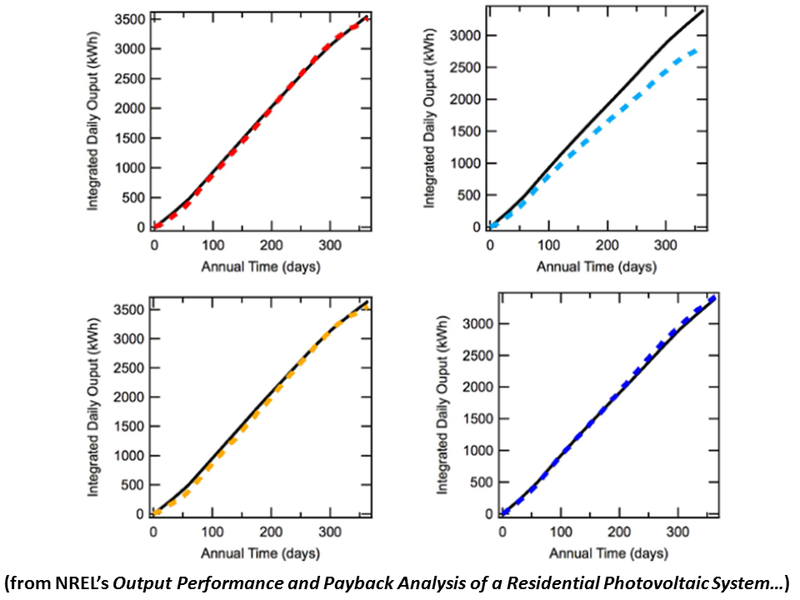 Integrated energy output over the course of a year is compared to that predicted by PVWatts. As plotted in the bottom graphs of Fig. 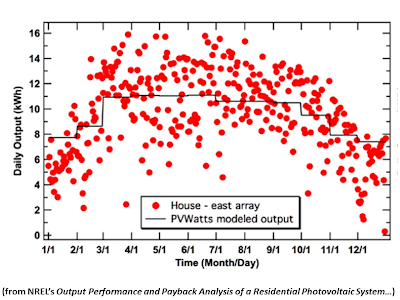 6, the house east array has an annual average output of 3503 kWh compared to the predicted value of 3556 kWh. The west array has produced 3555 kWh out of the predicted 3644 kWh. 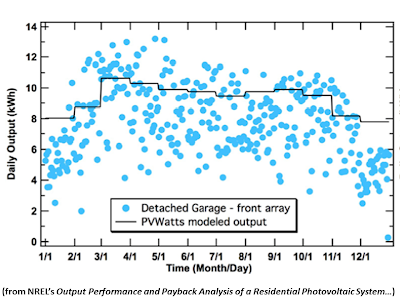 The periodically shadowed front array on the detached garage has produced 2823 kWh of its predicted 3400 kWh amount, while the back array, which is hardly affected by shadowing, has produced 3428 kWh of the predicted 3400 kWh. In total, the system has annually been producing 13,309 kWh of the predicted 14,000 kWh, which is 95%. The solar panels and system components were bought and installed between 2006 and 2009. At this time, the average prices paid for the solar panels and inverters were $4.13 and $0.74 per watt, respectively. With the recent rapid drop in prices for photovoltaic components due to economies of scale and fierce global competition, prices in early 2012 are down to $1.40 (modules) and $0.57 (inverters) per watt. Other costs (in $/watt) include installation hardware, such as Unistrut for mounts (0.438); wiring, electrical enclosures, conduit, and other electronic materials (0.211); shipping costs (0.174); sales taxes (0.0978); and permits (0.0632). Normally, installation would be a significant cost, but since this system was self-installed, there are no labor costs. In November of 2004, Colorado passed Amendment 37, which requires utilities to provide 10% of their electricity generation from renewable energy sources by 2020. In 2010, this goal was increased to 30%. The utility companies (Xcel Energy, in this case) have offered rebates to those customers that install solar to help meet this goal. Rebates have followed the cost of solar panels, so in this time period, the Xcel rebates received for these installed modules averaged $4.156 per watt. 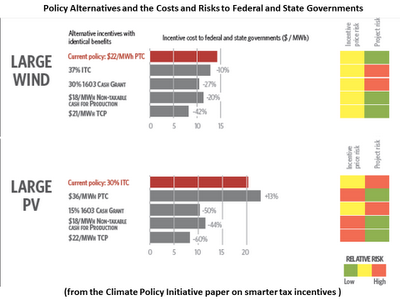 The federal government also offered tax incentives for renewable energy systems. The tax credit was 30% of the balance of the net cost, and these credits were $0.529 per watt. The total cost of $5.854 per watt less the rebates and credits of $4.685 per watt leads to a net cost of $1.17 per watt. This value is near to the $1 per watt goal of the U.S. Department of Energy’s SunShot Initiative, where the targeted cost of electricity is 6 ¢/kWh. 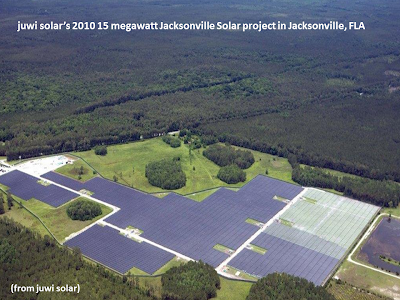 Using the total estimated annual energy output of these arrays (including shading) of 13,309 kWh, and the current cost of electricity of 9.3 ¢/kWh, the annual revenue is $1,240 per year. System cost divided by annual revenue gives a payback time of 9.0 years for this system. If the system produces the annual amount of electricity for 20 years, the cost of electricity based on the $1.17 per watt system cost is 4.21 ¢/kWh, but the inverters may not last the 20 years expected of the panels. 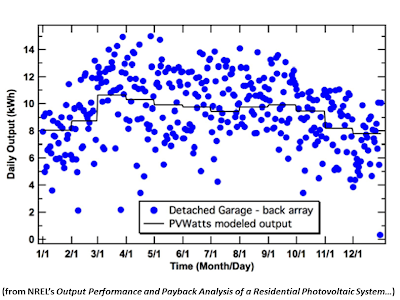 If inverters must be replaced after 10 years, and the cost is roughly $0.57 per watt, then the extra cost leads to a 6.26 ¢/kWh cost of electricity over the 20-year period. Colorado’s state incentive has made the cost of photovoltaic solar energy competitive with that of electricity currently purchased from the grid. 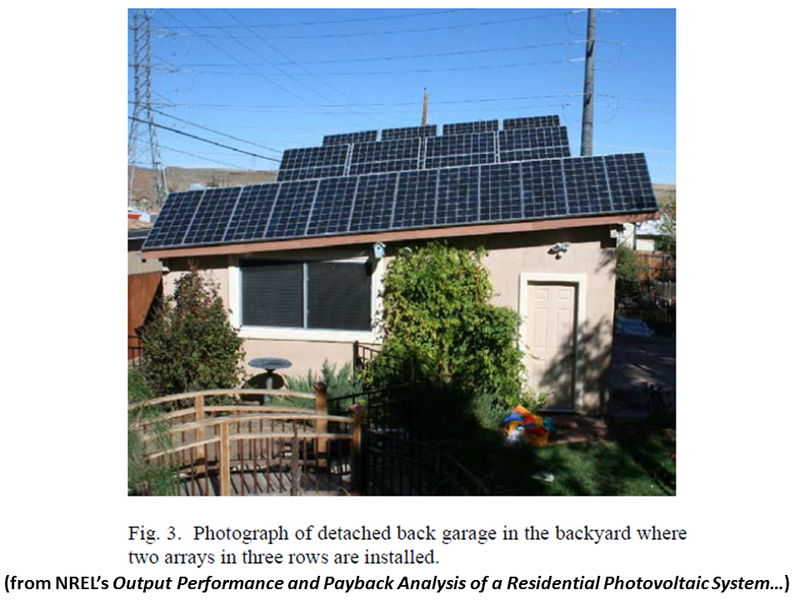 Including U.S. federal tax credits, the cost of a photovoltaic solar array was $1.17 per watt, which leads to a 9-year system payback and a cost of electricity ranging from 4.2 to 6.3 ¢/kWh over a 20-year period. 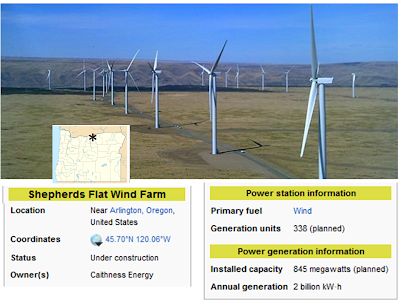 “…Caithness Shepherds Flat…will eliminate 1.483 million metric tons of CO2 annually, the equivalent of taking approximately 260,000 cars off the road…[And it] will enhance Oregon's economy. 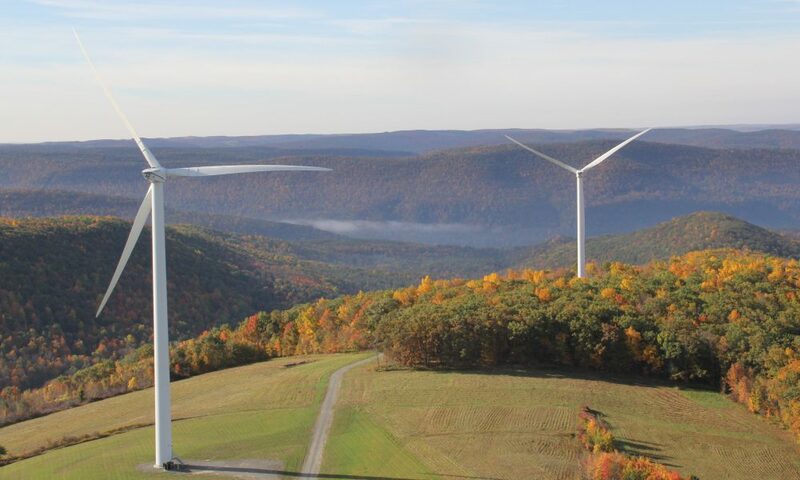 Producing an estimated 2 billion kWh each year, the Wind Farm will have an annual economic impact of $37 million for the State. Additionally, the project employed over 400 workers during its construction, and will permanently employ 45 workers. 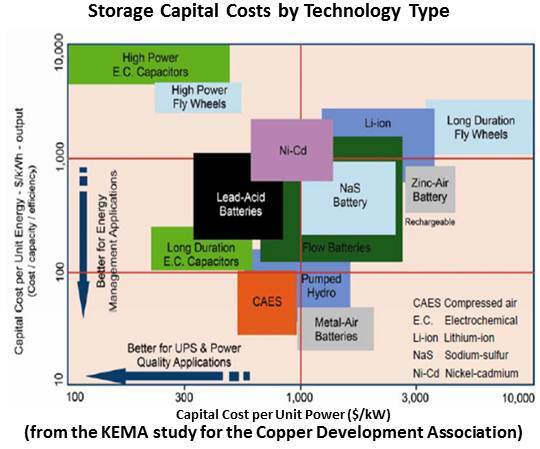 “Energy-storage providers Altair Nanotechnologies Inc. and EnerDel Inc… have signed a memorandum of understanding (MOU) to co-market and cross-sell each other's product portfolios. [Alexander Lee, CEO, Altair Nanotechnologies:] "Electric-grid customers are interested in combining high power and high energy battery systems to solve the challenges of renewable integration and ancillary services…This MOU allows each company to expand its market presence while creating real value for our customers." 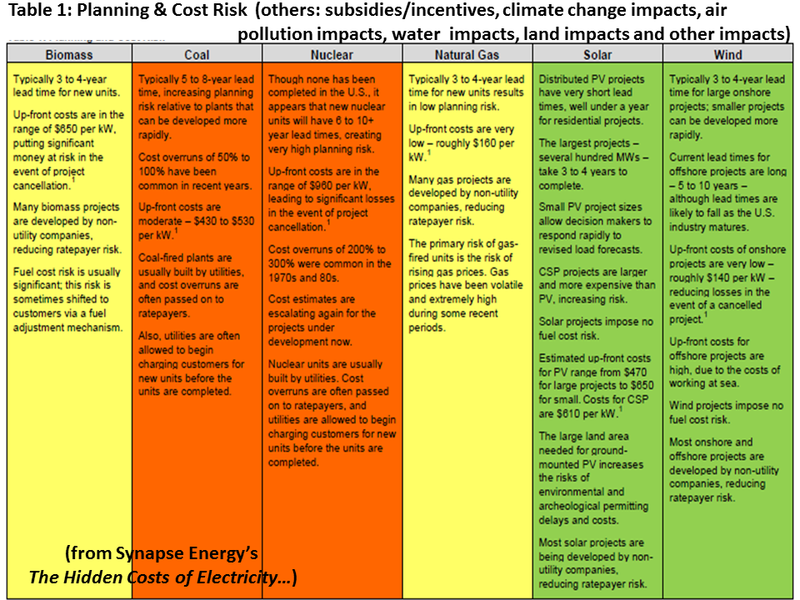 THE REAL COSTS OF ENERGIES REVEALED 'Hidden Costs' Revealed: Where Does Solar Rank Among Energy Sources? 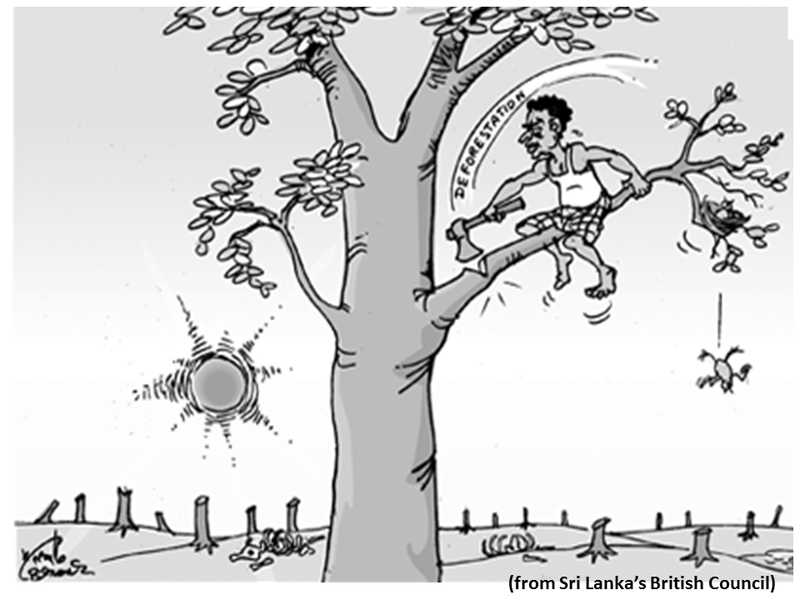 “Solar power's detractors frequently describe solar as "secretly" non-environmentally-friendly. They point to the PV module manufacturing process, utility-scale arrays' potential impacts to land and wildlife, and concentrating solar power (CSP) plants' on-site water usage as examples of attributes that negate the environmental benefits of deploying this renewable energy source. 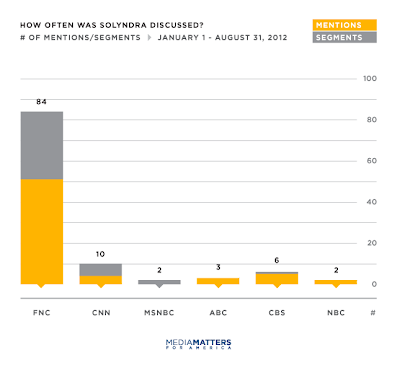 Media Matters analysis finds that Fox News has aided Republican efforts to make Solyndra the face of clean energy in 2012 by incessantly covering it a year after the company declared bankruptcy. Meanwhile, mainstream media outlets have disproportionately hosted opponents of clean energy to discuss Solyndra, and uncritically repeated allegations that Solyndra's loan guarantee was politically motivated, even though a yearlong investigation has found no evidence to support the "crony capitalism" narrative. 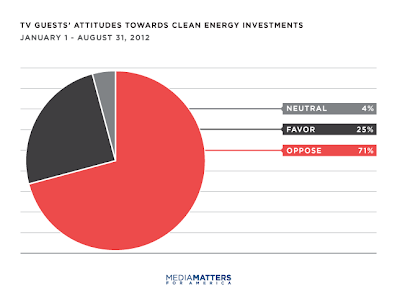 Opponents Of Clean Energy Investments Outnumbered Proponents In TV Appearances On Solyndra. Of those hosted or quoted by the major TV networks on Solyndra, 71 percent opposed clean energy investments like the Department of Energy's loan guarantee program, while only 25 percent supported such investments. CBS, NBC, Fox News, and CNN hosted more opponents than proponents, while ABC and MSNBC hosted an even number on both sides. Media Failed To Mention That Congress Anticipated And Budgeted For Defaults. 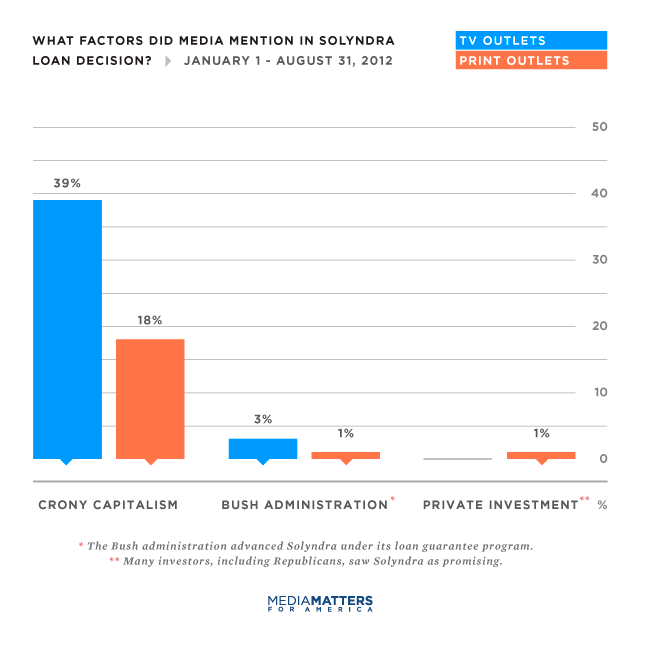 Media Uncritically Repeated Charges Of "Crony Capitalism," Ignoring Facts That Run Counter To GOP Narrative. Thirty-nine percent of television coverage and 18 percent of print coverage repeated Republican claims that Solyndra is an example of "crony capitalism" and that politics played a role in the loan guarantee, without noting that there is no evidence to support this charge. The Washington Post uncritically mentioned cronyism charges in 45 percent of coverage -- more than any other print outlet. ABC repeated these charges in every one of its segments on Solyndra, and CBS and CNN did so in 50 percent of coverage. While the broadcast networks never disputed the allegations, 6 percent of cable coverage and 7.5 percent of newspaper coverage criticized those charges (critical coverage is not counted against outlets in the graph below). Climate Change Largely Absent From Clean Energy Conversation. 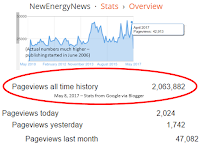 We searched Nexis and Factiva databases for substantial mentions of Solyndra (more than one sentence) between January 1, 2012, and August 31, 2012. Our analysis includes six major print outlets (New York Times, Washington Post, USA Today, Los Angeles Times, Associated Press and Wall Street Journal), the major broadcast networks (ABC, NBC and CBS), and the primetime shows on CNN, MSNBC and Fox. 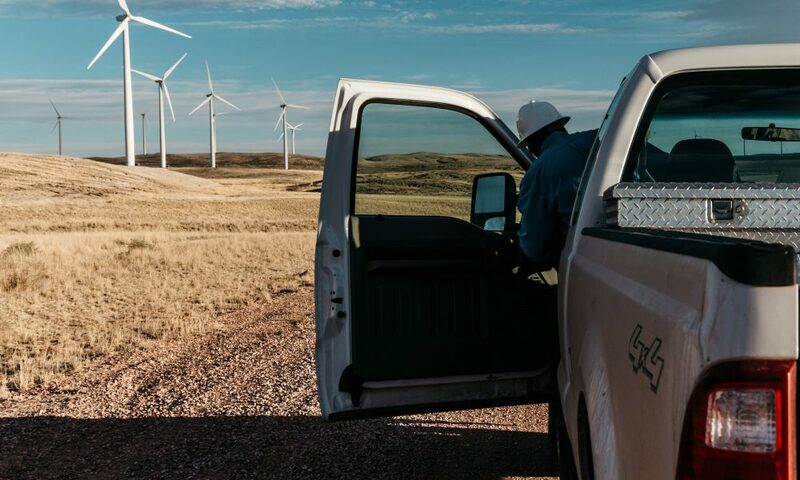 “A group of 19 leading companies has sent a letter to Congress asking lawmakers to immediately extend a key tax credit for wind that is set to expire at the end of the year. 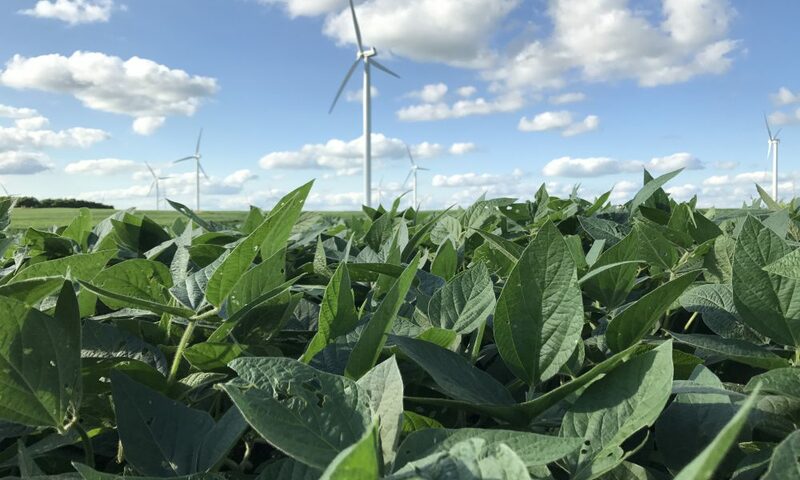 The diverse coalition of firms, which includes Ben & Jerry’s, Johnson & Johnson, Levi Strauss, Starbucks, and Yahoo!, says that raising taxes on the wind sector would be bad for businesses that buy large amounts of wind electricity. 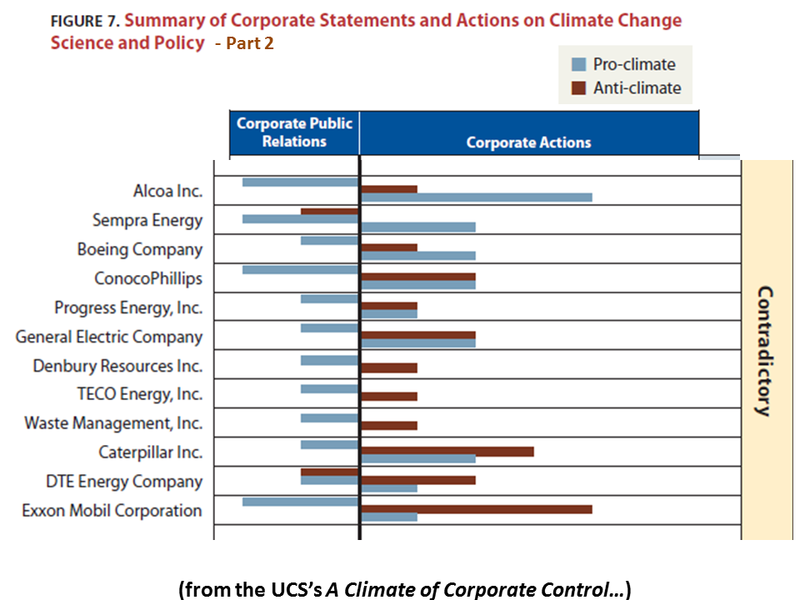 “These 19 leading companies are part of the Business for Innovative Climate & Energy Policy (BICEP), a project from the sustainability advocacy group Ceres. They say that failure to extend the wind credit will add new costs to businesses throughout the economy. Interestingly, far-right conservative groups aggressively opposed to raising taxes are the only ones coming out in opposition to the wind tax credit. 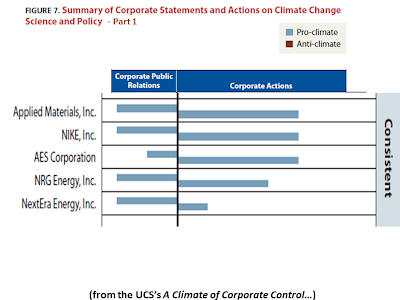 “…Corporate America is warming to the idea that profitability and environmental sustainability are not mutually exclusive. The world will not be able to stave off the environmental calamities threatening our planet --like climate change -- without a strong commitment from America's business community...[Profit is] an incentive to make that commitment. 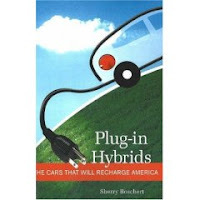 “…[M]any U.S. and global companies are taking concerted action to go green…Procter & Gamble, Ford, [Best Buy] and Coca-Cola have all instituted rigorous carbon footprint targets…Nissan, Mitsubishi, and Tesla are all increasing production rates for cars powered partially or entirely by electricity. Ford launched the Focus Electric…And General Motors is working on new technology that could power an electric car for up to 200 miles on a single charge. 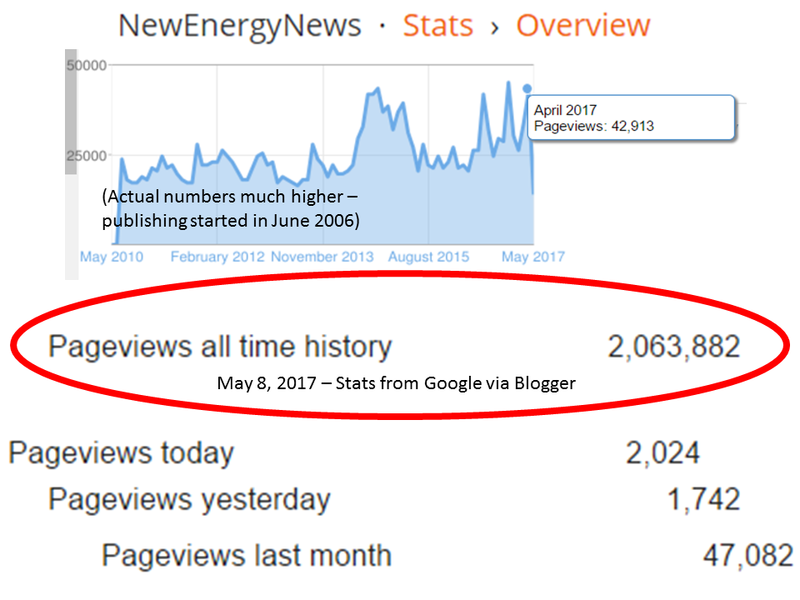 Despite malicious misinformation propagated by the LA Times, BrightSource Energy’s Ivanpah solar power plants complex is going up on time and on budget with due respect to the Mojave Desert environment. Like over 95 percent of the loans provided to New Energy by the Obama administration to balance longstanding federal support for the Old Energies, the federal investment in Ivanpah is on track to bring back full repayment with interest to taxpayers. It will also help keep electricity rates in control when, over the long run, volatile fossil fuel prices rise while the sun goes on shining cost-free. “Solar demand continues to defy odds so far in 2012, which may result in another year of growth contrary to pessimistic views early in the year. Module prices continue to fall spurring demand. Tier 1 modules are now in the ~$0.70 range, after falling about 20 percent this year, and about 60 percent since the beginning of 2011. 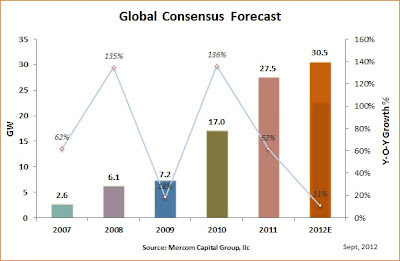 Negative forecasts have turned positive. “The United States continues to do well, spurred by state RPSs and solar lease programs, while China set a goal of 21 GW of solar installations by 2015 and is looking to install about 5 GW this year. Japan’s new FiT program is one of the most attractive in the industry and could help drive the country’s large scale solar market which was previously non –existent. 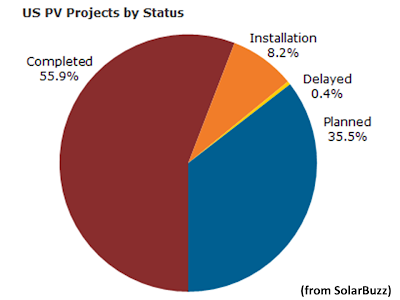 India, through its national and state programs, is on pace to install about 1 GW this year. [EirGrid Chief Executive Dermot Byrne:] “The Government asked EirGrid to deliver on this strategic infrastructure by 2012...It was a challenge and it was an achievement delivering the complex project on time and approximately €30 million under budget…[The Interconnector] is the single most important step in allowing Ireland to exploit and to export its enormous resources of renewable energy. 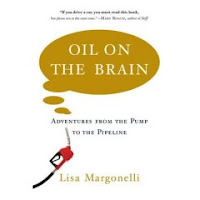 Critically it also allows us to access energy from Britain and from across the European continent which will result in more competition to the energy market and put downward pressure on prices”. “…One of the overlooked effects of climate change on people, though, is disillusionment. 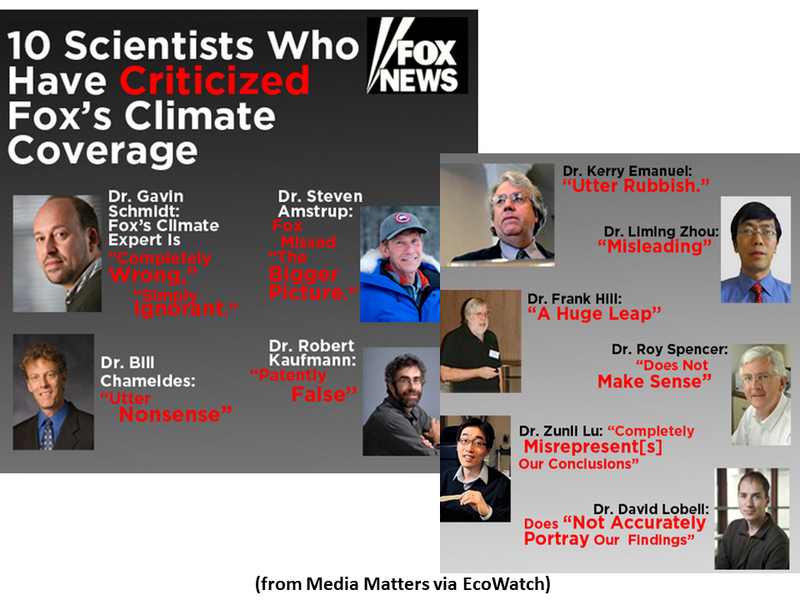 The reality is that climate change is here and man, that is depressing...[I]n my new job working for the National Center for Science Education, I get to hear all about climate change denial all day long. 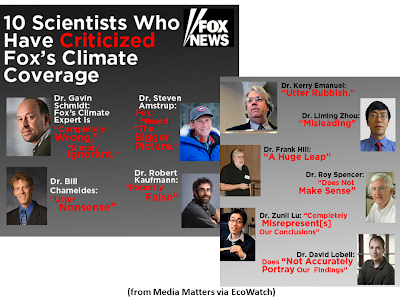 I like to believe I went through the 5 stages of denial when it came to my introduction the climate deniers’ literature: shock, annoyance, bargaining, disappointment, and eventually acceptance that they are insane.